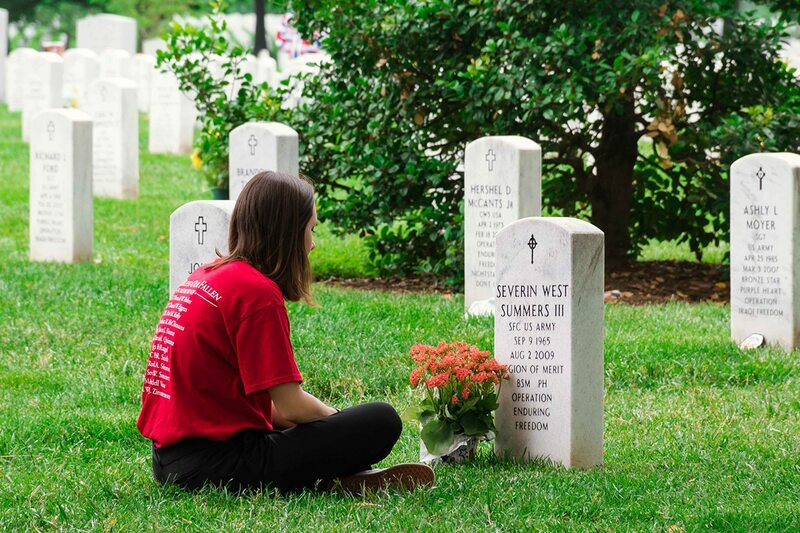 Shelby Summers is the daughter of Army Sergeant First Class Severin W. Summers, a Special Operator who was killed in Afghanistan on August 2nd, 2009 while conducting combat operations when a command wired IED struck his vehicle during Operation Enduring Freedom. A Freedom Alliance scholarship recipient, she is currently a sophomore at Baton Rouge Community College pursuing an Associate’s Degree in business management. When not attending classes, Shelby pursues her passion for interior design, working as a part-time designer for a local firm in Baton Rouge. After receiving her Associate’s Degree, Shelby hopes to attend the New York Institute of Interior Design in pursuit of a Bachelor’s Degree in interior design and plans to remain in New York to pursue a career with an architectural firm or another interior design company. In addition to be­­ing a scholarship recipient, Shelby has participated in a number of activities with Freedom Alliance, including our annual Scholarship Retreat weekend in Washington D.C., the Tunnel to Towers Run in New York City, and the Johnny Mac Soldier’s Fund Gala in Atlanta, Georgia. “The people I have met through this organization are people that I will honestly cherish for the rest of my life, friends that I will stay in contact with forever, mentors that have taught me so much and that really genuinely care immensely for each and every student that receives this scholarship. We are proud to welcome Shelby as our 2018 Scholarship Ambassador where she will represent the 327 students receiving a Freedom Alliance scholarship.